When we moved to the sunshine state a few years ago, I thought our biggest challenge for pest control would be palmetto bugs. Little did I know that palmetto bugs would be the least of our concerns, fleas were the challenge when living in the deep south! One might think it’s okay to use flea medicine recommended by your vet, but with my past experiences with both my cat and dogs, I stay as far away as possible from commercial flea products! Why I don’t use flea control products recommended by my vet! About 8 years ago, I found a flea on my cat. What did I do? I purchased a flea shampoo from my vet and bathed my cat in it. Easy enough right? I couldn’t be more wrong. Shortly after I bathed my cat in this so-called “non-toxic” flea shampoo, my cat became very lethargic and sick! It got so bad that I had to rush my cat to the emergency animal clinic. My cat could not handle the chemicals that were in the flea shampoo and the shampoo made my cat very sick. It took several weeks for my cat to return to its normal and playful self. On another incident, I treated my dog with some flea medicine that you put on the back of their neck area. My dog became a different dog and started to vomit within 24 hours after giving her this medicine for fleas and continued to be sick for days! Never again would I use commercially recommended products for my pets, I knew there had to be a safe way to naturally get rid of fleas. I use this one product to naturally get rid of fleas on my pets! So after plenty of research and plenty of trial and error, I finally discovered a natural solution to get rid of fleas, and it works incredibly well! Diatomaceous earth is a natural chalk-like substance that is composed of fossilized diatoms that have formed together into silica deposits. The silica deposits are ground into a fine powder called diatomaceous earth. 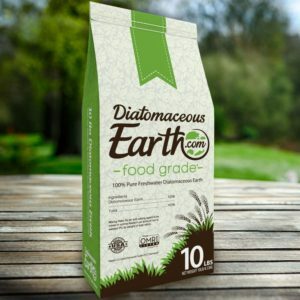 There are two different grades of diatomaceous earth; food grade and pool grade. Food grade diatomaceous earth is safe for pets, do not use pool grade diatomaceous earth. It effectively kills fleas by puncturing their exoskeleton which causes them to dry out and die. When using diatomaceous earth, don’t just treat your pet, treat the yard and the area around where your furry friend sleeps. It is important to note a few things when using diatomaceous earth. Diatomaceous earth is a fine dust-like powder that is safe for humans and pets but can cause issues for people or pets suffering from sensitive lungs. Wearing a mask (for you and your pet) while sifting the diatomaceous earth onto the carpet and on your pets can protect you and your pet from taking in too much dust internally. Always buy food grade diatomaceous earth and not pool grade diatomaceous earth. Diatomaceous earth (DE) can be drying for some animals, less is more when applying DE on your animals. Always test a small area of your pet for several days to see how your pet reacts before applying DE to your pet’s entire body. It is best to treat the areas where the fleas live to control the flea population. For best results, liberally sprinkle DE in your yard and around your animal’s bedding to control the flea population. Remember the golden rule, less is more when using diatomaceous earth on your animals. I like to sprinkle a little bit into my hands (about a teaspoon) and work it throughout my pets fur. Focus on applying DE to the troubled areas, (the armpits, groin, and ears) of your pet. Follow up by treating the yard and area around your pet’s bedding regularly with diatomaceous earth. Repeat this step as needed. That’s it. 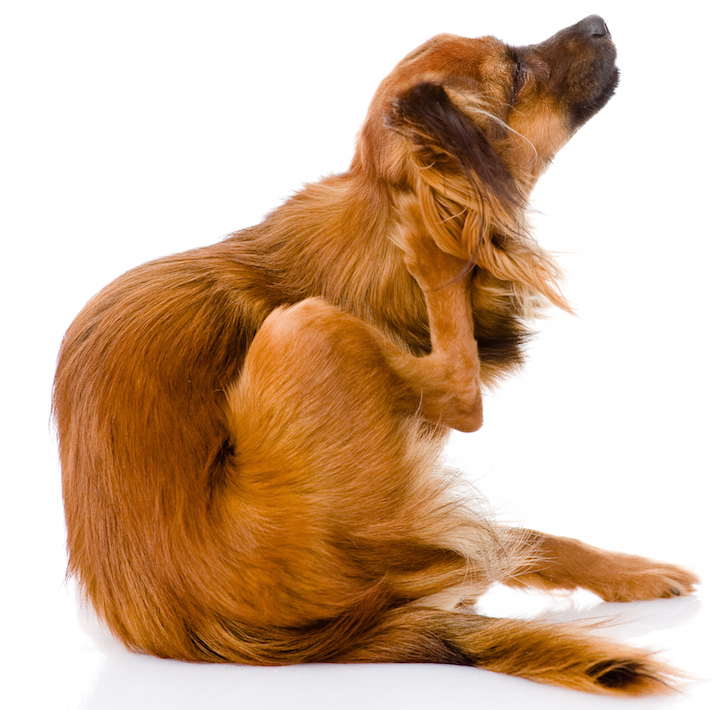 It is safe for you and your furry friend and is an effective natural way to get rid of fleas! Diatomaceous earth also helps get rid of wasps, ants, cockroaches, Asian lady beetles and bed bugs? It’s true! And those palmetto bugs I spoke about at the beginning of this post… you better believe that DE works on them too! We rarely see palmetto bugs since we’ve started to use diatomaceous earth regularly in our yard to protect against unwanted creatures! Give it a try! « Follow This One Tip and Naturally Make Your Swimsuit Last Longer! Can this hurt my dog if she licks the area I’ve put it? That is a concern of mine. Other than that it appears to be a great product. No, it will not hurt your dog. In fact, many vets use DE as a dewormer too. Do you have a recipe for dog shampoo? No, not at the moment, but I certainly can do some research and create one.